A small university in Barcelona, tucked in a harbour building between shiny yachts that are worth millions, plans to change for good the world of European higher education and create a few super-successful startups along the way. 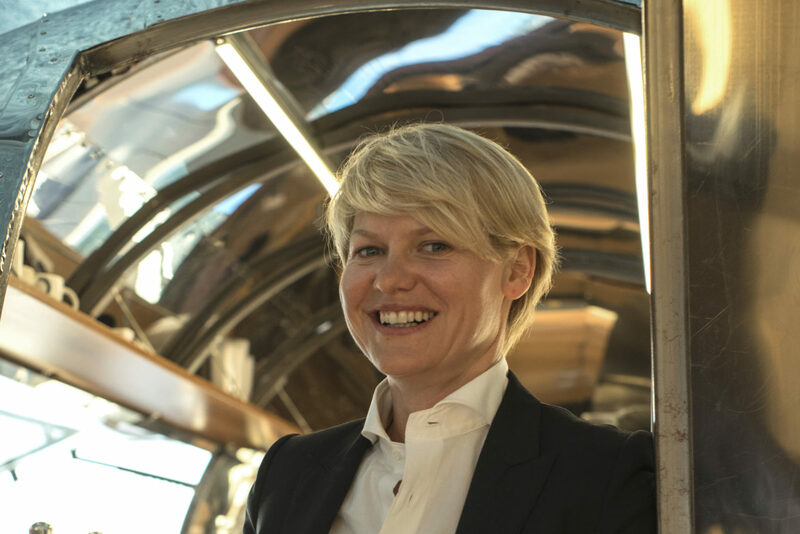 “Europe really needs something like Stanford: a private university that is free to do whatever it wants,” said founder Svetlana Velikanova, remembering how she pitched the idea to Ingo Beyer von Morgenstern a few years ago. The pitch worked. Today, the prominent professor is the chairman of the university. Since her own university years, Velikanova had been thinking about tackling the challenges posed by the higher education field. Her first attempt did not get very far. She tried to convince colleagues at Morgan Stanley to launch a private European university in 2008, at the start of the recent financial crisis. She looks back now and recognises that the timing was wrong, both for her and the world. When we meet in March 2017, the first students of Harbour.Space University have been studying for half a year. Essentially, the University is built around the classic startup idea – combining the best of the hackers’ world with the best hustlers and hipsters. To apply you need to present your idea: what you will build. Classes take 3 hours each day; the rest of the time you apply what you have learned to your own project. “Our clear goal is for students to find co-founders here and do their project,” Velikanova explained. Launching a successful university is not something you could achieve during a weekend hackathon. Building Harbour.Space has taken some time and so do the studies. Teaching a subject like data science to a student who knows nothing about programming is not something that can be achieved in a few months. This sort of higher education needs the fundamentals to be in place and the fundamentals of our new economy lie in programming. Russian-born Velikanova looked deeply into the Russian education system, which produces some of the world’s best data scientists and programmers. The Russian success is built on a system that was put in place during the 1960s under communist rule when the government built a countrywide network of schools for children with special abilities. The Russian education system has worked closely with employers and universities ever since. In today’s Russia, Yandex is helping to create a curriculum for a Masters programme. Based on this, the education system will then change what it needs to teach through earlier levels. “It becomes a triangle, where industry, universities and schools work together,” Velikanova said. In addition to what the University offers, Barcelona provides a great international vibe, reasonable living costs and fantastic weather. But the local education system is creating some extra challenges for the software industry. In Spain, programming is rarely taught before university-level studies. “Local universities have to start from nil,” Velikanova said, comparing it to Russia where pupils learn C++ language in the fifth grade. “For those who understand that the world has changed and want to catch up, we created a ‘maths as a second language’ course,” she added. A year-long course allows students to catch up and prepares them for any serious tech university in the world. Velikanova had to work for a long time to get Iranian-American serial entrepreneur Kamran Elahian involved. Today Elahian teaches a three-week introductory course to new students: ‘From zero to hero’; but it took some time to convince the busy entrepreneur. “He didn’t believe in us,” Velikanova remembers. In May 2016, the team travelled across Europe to Tallinn, Estonia, to meet Elahian at the Latitude59 conference, where he was one of the keynote speakers. For the design aspect, she has not had to look any further than Tallinn either. The design part has been built by Tallinn-born Anton Repponen, who made his career in New York, and Irene Pereyra. These two were the driving force behind the world’s leading user-experience agency, Fantasy Interactive, and they now have their own studio, Anton&Irene. Velikanova does not see any classical universities as rivals. The only rival she will admit to is the free public offering, which could cause some youngsters to lose years that they will never get back. It would be easy for them to position themselves against the legacy education system, but Velikanova says it was already clear a few years ago when she pitched the University to today’s chairman, von Morgenstern, that the approach should be totally different.